Walkthrough for exam of Care of Magical Creatures O.W.L. 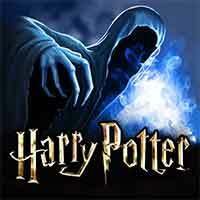 Answers Harry Potter Hogwarts Mystery – test your knowledge of the needs, habitats, and behaviours of magical creatures in this Ordinary Wizarding Levels (O.W.L.s) ! remember to revise and prepare with your friends before you do it, because the answer for each question is in there ! so get a good grade to decide for follow-up careers advice ! How often does a Streeler’s shell change colour ? Porlocks guard heards of what non-magical creatures ? Which of the following creatures eat Fairy Eggs ? Bowtruckles are especially fond of what tree ? Harry Potter Hogwarts Mystery Care of Magical Creatures O.W.L.